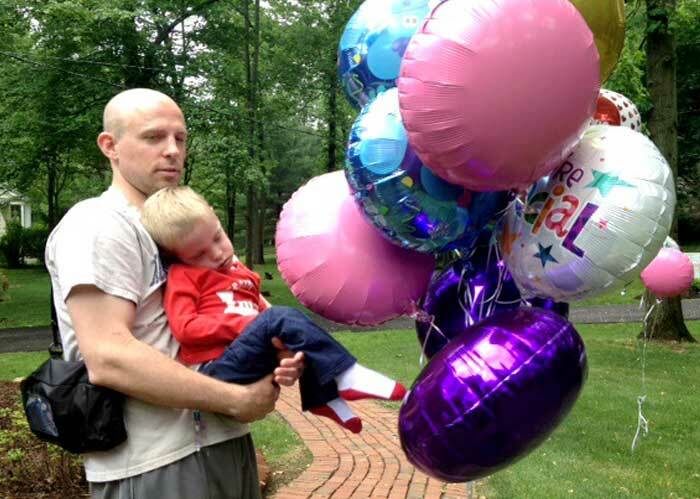 When sweet Connor was in the final weeks of his life and couldn’t go outside to play, Heartworks was in prayerful thought for what we could do for him and his twin sister Claire. We knew he was lying in a bed with a window that looked out over his front yard. And so we put the word out for everyone to add a balloon to a garden on their front lawn. 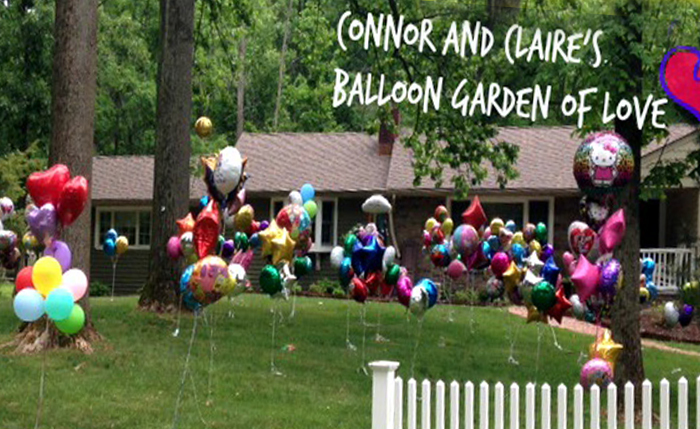 When the balloon garden began to wilt, we did not feel right throwing out the balloons that brought so much joy, so we put them all in a giant photo album as a way to remind Claire when she was older about something beautiful that happened in those last few weeks. Just recently Claire was asked by her 1st grade teacher to tell the class about her most prized possession was…. guess what she picked…?